Sony is spending upwards of $50 million to promote their new hand-held gaming system in the US. The PS Vita is set for release on February 22 but faces stiff competition from gaming-enabled consumer devices like tablets and smartphones. John Koller, senior director for PlayStation hand-held consoles, noted that the $50 million domestic budget is the largest platform launch in terms of marketing investment the company has ever had. Sony has developed television commercials, retail partnerships, billboards, digital banner ads and a heavy social media presence as part of the “Never Stop Playing” campaign. The television spots were filmed in Buenos Aires over the course of three days. One clip demonstrates the Vita’s augmented reality feature while another shows a man playing games against other people he encounters on the street. These are expected to air during programs like “The Simpsons”, “South Park” and “Tosh.0” as well as during NBA and NCAA basketball games. It remains to be seen if the Vita can compete in this new-age portable gaming landscape but Sony has loaded the hand-held with some impressive hardware to give it a go. The system is powered by a quad-core ARM Cortex-A9 processor and a quad-core SGX543MP4+ graphics processing unit to go along with the 512MB of system Ram and 128MB of VRAM. Gamers will interact via a 5-inch OLED multi-touch capacitive touchscreen, a full array of controls on the front of the system and a unique rear touchpad. Connectivity consists of Wi-Fi, Bluetooth 2.1+EDR and 3G. 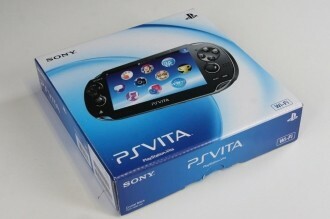 The Wi-Fi only model will set you back $249 while the 3G-enabled Vita commands $299.